On Saturday, Valencia’s summer film festival got underway — Cinema Jove. This is it’s quarter-century anniversary, and they’ve got an awesome line-up of films for viewing. Cinema Jove shines the spotlight on foreign cinema, with 9 films from 9 different countries competing for the top prize. Denmark’s Submarino an is supposed to be excellent, as is Eamon from Ireland. The official selection films are playing at the Teatro Rialto, but the festival visits over 10 other screens throughout the city. Our favorite are the open-air screenings in the Viveros Gardens. It’s free, and fun movies are always chosen for these popular viewings. Here’s a run down of the films at Viveros. Who will win Golden Moon of Valencia? That’s the top prize at the city’s summer film festival, Cinema Jove, which will be staged at locations throughout the city from June 20th to 27th. There will be screenings on 15 screens, including the Teatro Principal (location), the Viveros Gardens (location) and UGC Cine Cite (location). They’re showing some great classic films in open air of the Viveros Gardens, including Night of the Hunter and Touch of Evil. This is the festival’s 24th year, and though it’s not Spain’s most high-profile event (that would be San Sebastien’s), there are a lot of quality films to catch. The 12 movies in competition hail from all over Europe — last year’s prize went to Autumn Ball, a bleak, multi-plotted drama out of Estonia. 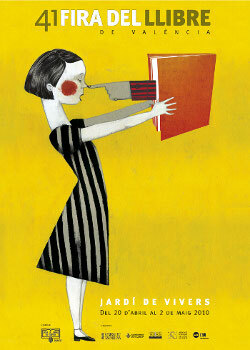 Until May 3rd, the annual book fair, the Fira del Llibre de València will be held in the Viveros Gardens (location). We went last year and can report: there were a lot of books! And unless some crazy surrealist group has taken over the book festival’s organization, I’m sure you can count on a lot of books this year, too. The fair is open from 11 to 14h, and in the eventings from 17 to 21h. There are numerous activities and events scheduled throughout each day, though they’ll all be in Valencian or Castellano. They have a website, firallibre.com, but as of the time of writing this post, it is extremely busted. Come on, guys! Valencia’s Museum of Natural Science (also referred to occasionally as the Paleontological Museum) is situated right in the middle of the Viveros Gardens (location). 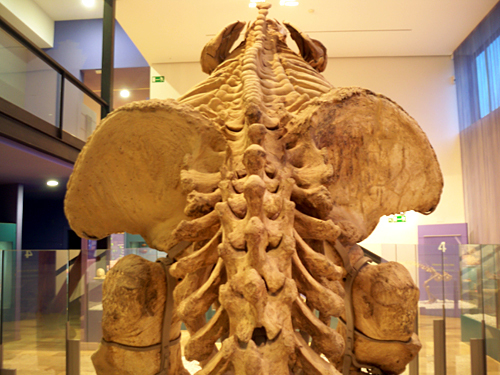 The museum takes visitors through the history of life on Earth, with a special emphasis on South American paleontology and the Valencian ecosystem. 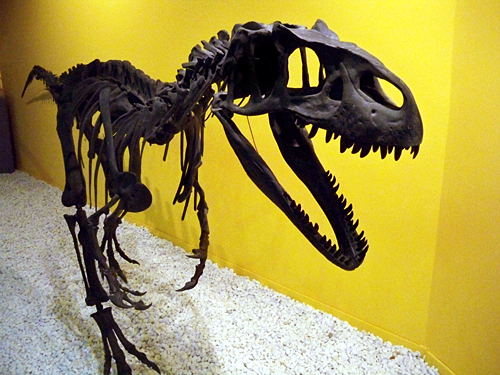 If you’re a fan of fossils, Darwin or the natural sciences, this museum is an absolute must. 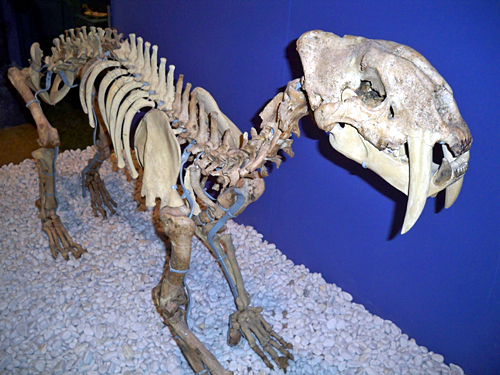 The most spectacular area of the museum is a set of fossilized skeletons brought over from South America and donated by J. Rodrigo Botet. 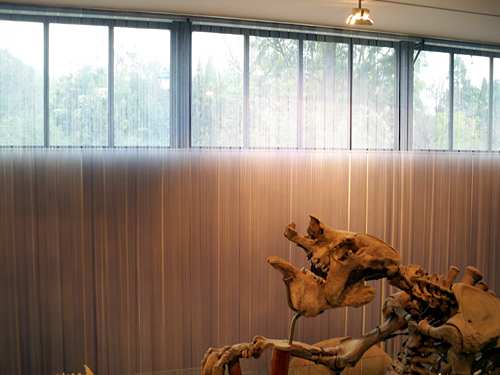 The largest and most interesting is that of a Megatherium – a giant sloth, as large as an elephant, that lived alongside humanity back in the good old days, 8000 years ago. A number of the exhibits might really only appeal to paleontological enthusiasts, but the museum is a great place for anyone to spend a rainy afternoon — it won’t take even the most fossil-obsessed more than a couple hours to visit (although, I’m afraid my father might get lost for weeks, engrossed by the various trilobites). Entrance costs €2, and is free on Sundays.